The wine market in China is very dynamic with a 25% annual growth. French wine enjoys a good reputation, compared with wine from different parts of the world and with prices generally much more affordable. The market was previously price oriented, the more expansive the wine is, the better quality it has. It gives opportunities to those brands like Chateau Lafite. White and red wine are slowly getting into the Chinese market but the consumption is still dominated by red wine. The wine market in China is expected to increase by 53% between 2012 and 2015 for red wines and 69% for whites. 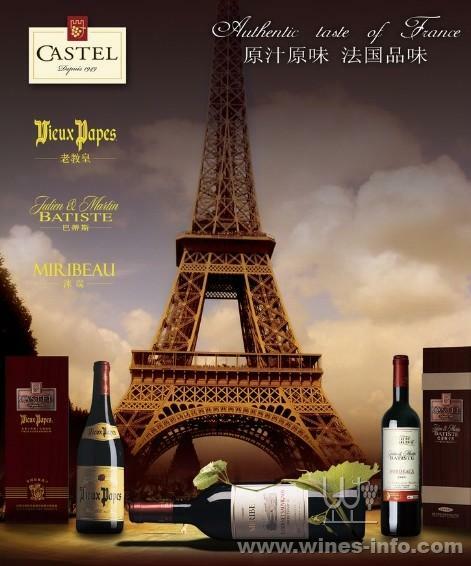 French wine in China is considered as a luxury product and every brand needs marketing to make his products recognized by distributors and consumers. If a well known wine with a good brand image will be easy to sell for an unknown wine the task will be harder. The wine has very positive connotations: sign of civilization, global product and good for health ! Golf andf tasting is a great opportunity to meet high level people in the business community. Nowadays Anglo-Saxons dominate the world of wine education. The Wine Testings are numerous in China, especially in Shanghai. The combination of wine culture and Guanxi (business relationships in China) is very interesting. To gain credibility, wine experts are needed. A sommelier, or a French working in the wine industry will reassure consumers. For websites selling online, don’t hesitate to use a sommelier with videos. Philip Osenton a British sommelier introducing a wine brand. So it is important for wine brands to pay attention to their e-reputation as many consumers will check on the internet domain information, name of castles, and associated critics. Webites specialized in online sales do not hesitate to provide very detailed information to consumers. Chinese are often interested in the history of wine. A castle with history is a good point to convince the consumer. Chinese are more open to new technologies and digital media than us. Nice videos and beautiful photos are always useful for a showcase and the wine is no exception. - The Chapoutier recently broadcasted a video telling the story of its founder. Although the video was viewed very little, she had very good returns. - Moët & Chandon: Pretty pictures are excellent for point-of-sale display (POS). LVMH group generally provides superb posters for Moët & Chandon’s POS. These digital media will serve in B to B to convince distributors to showcase your wine but also B to C to raise consumer awareness. We see QR codes appearing behind wine bottles. QR codes is a fashion in China. It remains a marginal process, but many houses are considering equipping their bottles of QR codes in order to inform and engage the consumer on real time. It is important for a brand to understand that if it really wants to enter the Chinese market, it has to invest first in marketing. 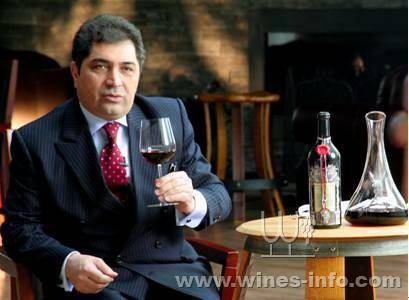 It was possible a few years ago to find a distributor or importer who would have distributed and promoted your wine. But the market is becoming very competitive and as margins will gradually deacrease, Chinese before investing in a domain will ensure secure supplies and gets informations about your castle. Communication can be through PR activities (press relation); mostly aimed at webmagazines and newspapers helps to build the brand image among the general public. . It is also a very interesting to invite journalists to some events to establish ties with them. Key Opinion Leader (KOL) campaign will helps to promote word to mouth. In China 10% of people affect 90% of the population. Viral Marketing: interactive content is a good way to build a good brand image. It is important to know the different level of wine consumers in China, and then make a relevant positioning based on your target. The insight “Wine is good for health” is increasingly used in China to encourage Chinese to drink wine. Baijiu has been recognized as a threat to health (mainly due to excess during officials’ banquet). Many websites and radio stations provide the message that a glass of wine per day is good for your health as recognized by many scientific studies. E-commerce is booming in China. Tmall (B to C platforms of online sales) is the giant in this field and attracts millions of users. Wines distributed in Tmall are generally well known brands or low cost products. Besides, the trend is the professional wine malls. Many wine brand decided to open a Sina Weibo account but have not always been able to communicate skillfully with the public of a brand. No official account. Very few interactivity despite the large number of followers. An unprofessional url and too many boring corporate content. 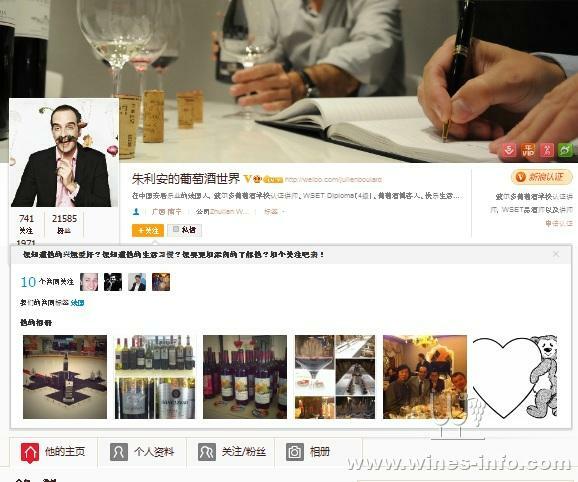 A good Weibo account by Julien Boulard a French consultant in the wine. Embedded marketing is a form of advertising where branded goods or services are placed in context usually devoid of ads such as movies, music videos, video games or TV shows. It is a good way to targeting on specific groups and to use implicit memory of potential consumers to build a brand consciousness. Very few companies use product placement but some have been very successful in it. Laffite made investment in Chinese sitcoms and now Laffite is seen as the better red wine for celebrations.